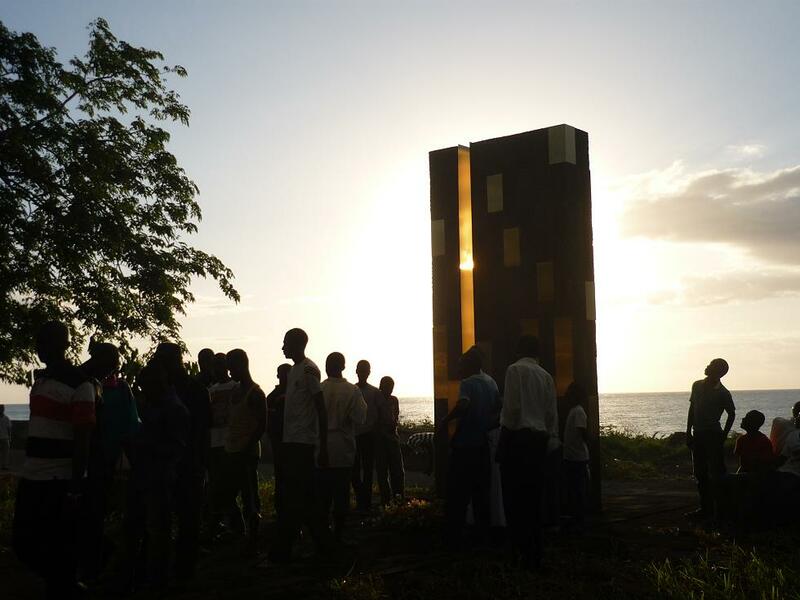 In June 2009, a Yemeni Airbus 310-300 plunged into the Indian Ocean in bad weather off the Comoros archipelago, killing 152 people who were on board. The sole survivor was a teenage girl. 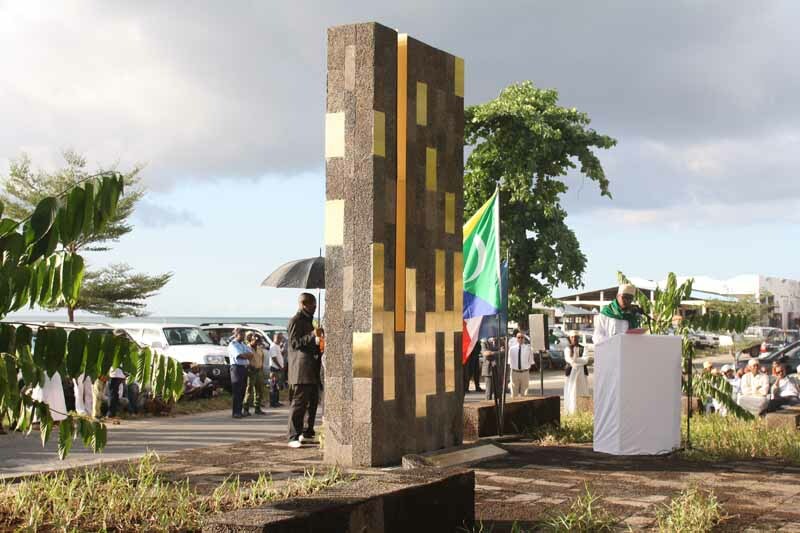 To mark the second anniversary of the catastrophe a monument in the memory of the franco-comorian victims was raised at the entrance to the town of Mitsamiouli in the north of Grand Comoro (the largest of the Comorian Islands). 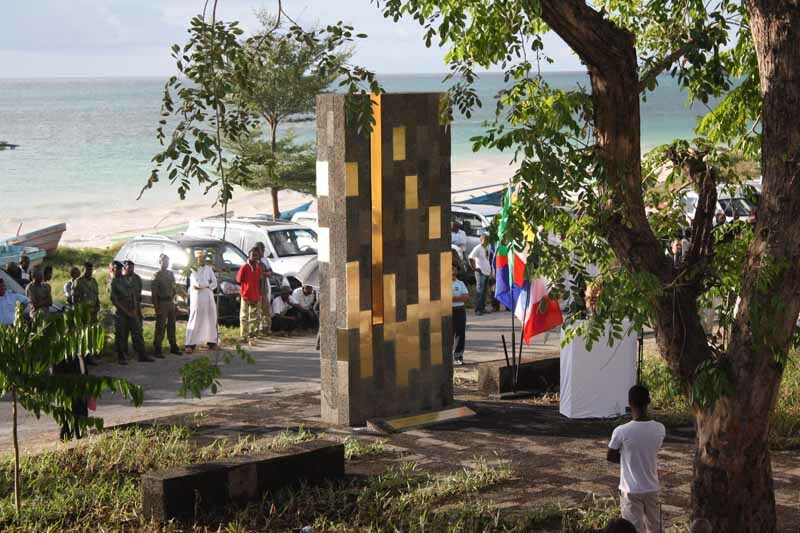 The monument was created by a partnership between the Comorian architect Nadia Moussa and Paris based franco-comorian architect Mahmoud Keldi. 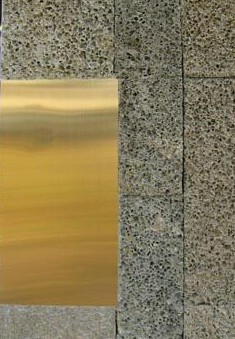 Its simple rectangular granite and metal form marks a spot near the shore. 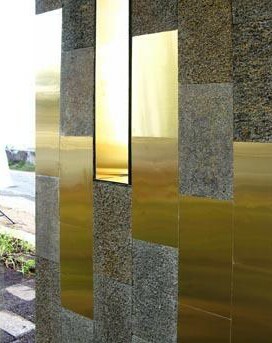 The metal panels reflect the sun rays and one single metal-clad slit frames the view to the ocean beyond. The Islands have played an important role in the history of the area, having been involved in the ancient maritime trade of the Indian Ocean for many centuries and this is reflected in the population: Peoples from Africa, Arabia, Asia, Europe, and Madagascar have all contributed to the mixture.